With just a little over a year until the final installment of the sequel trilogy hits theaters on December 20th, 2019, the story secrets are being kept well under wraps. Fortunately, MakingStarWars.net have managed to pick up a few details about Star Wars Episode IX, specifically relating to Kylo Ren (Adam Driver). This isn't the biggest spoiler in the world, and will likely be revealed in the marketing for the film next year, but if you are trying to avoid all Episode IX spoilers then stop reading now. This is your SPOILER ALERT! "Sources have said they saw Kylo Ren with the reforged mask on in various stages of dress, which also means we can’t yet say how often he wears the helmet (...) To them it looked like the mask was pieced back together using some kind of red crystalline bonding material. The visual gave the mask 'a very corrupted look.'" Obviously Adam Driver is such a talented actor, and we saw the kind of range he had in The Last Jedi, so keeping him behind a mask for an entire movie would be a bit of a waste (which is something both previous movies realized this and had him unmasked for, at the very least, the key moments). 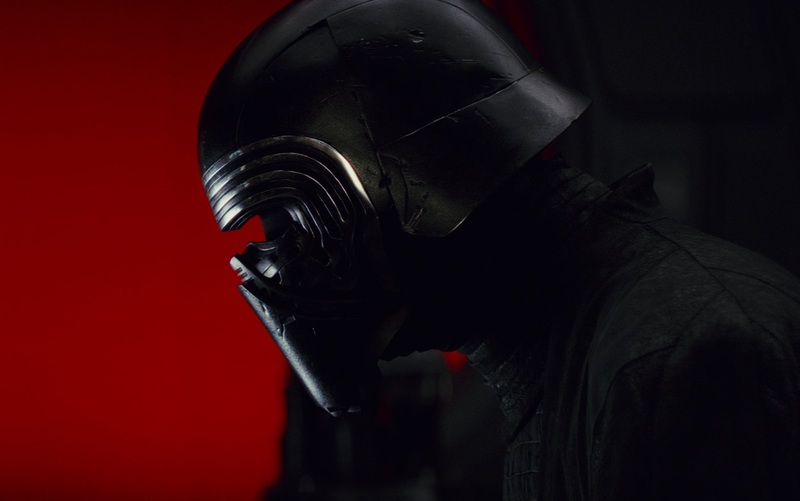 However, now that Snoke is dead and Kylo is the Supreme Leader of the First Order, perhaps he might regress into his old ways and rebuild that old mask.